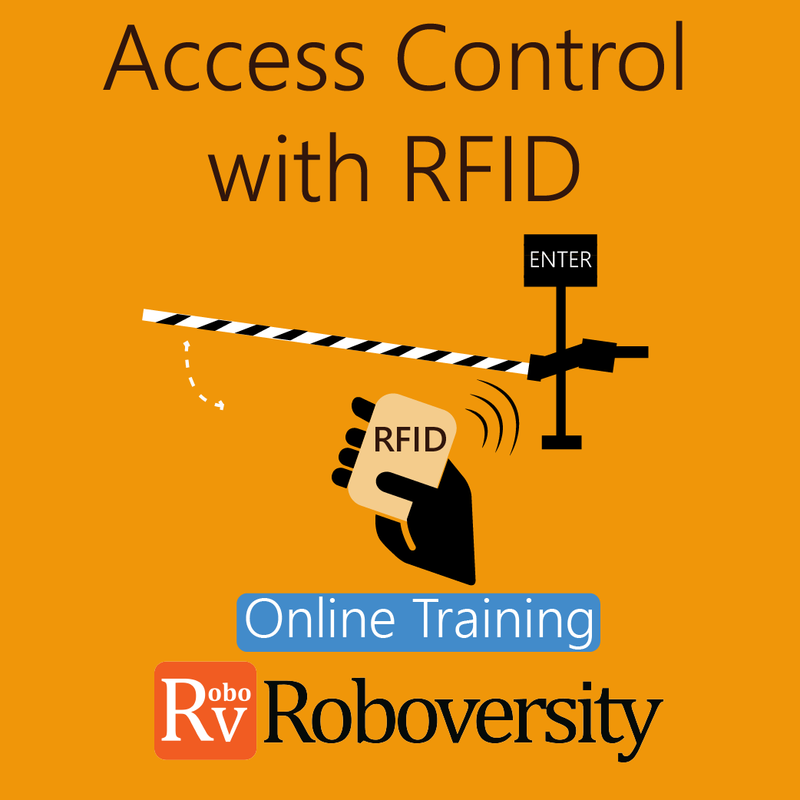 Complete your working project on time using the right kit & concepts. 1 - 1 Trainer Assistance to help you. Complete your project in just 1 week. 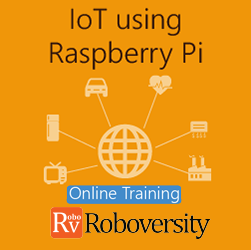 Build your Electronics (ECE) Project at your home. No more online jugaad. No more wasting time & money on wrong/ bad components. Get upperhand in core job interviews/ crack viva easily. Learn while you build the Project. Earn Certificate. Showcase skills. Try before you Buy. First 3 chapters are free. Start Now! 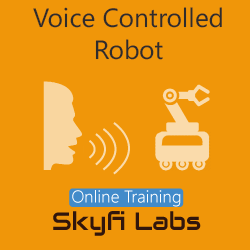 With Skyfi Labs Online Courses, do electronics engineering main projects on latest technologies along with our expert project guidance and tutorials that help in your research and studies. 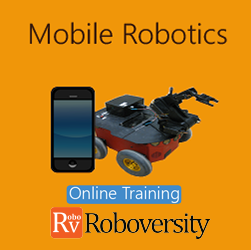 With these courses, you not only build electronics engineering projects but you will also learn while building it. These innovative ECE engineering projects have been researched and compiled into an online course to make it easy for you to learn and build the desired project for your final year presentation. These project-based courses are designed to help you become more productive, increasing your chances of getting recruited in a core company or getting into any esteemed university for masters. The skills, in addition to your technical skills, can only be groomed by doing engineering projects practically. 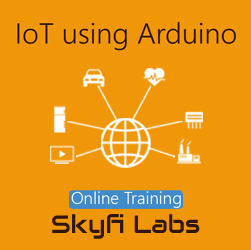 So start to learn and build ECE projects with Skyfi Labs that actually works! 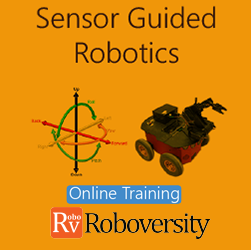 Select a ECE Project from our Course Catalog and Pay Online! Get your engineering project kits shipped to your doorstep! 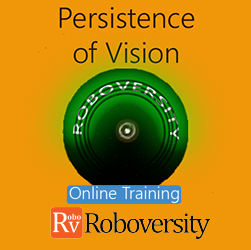 Use Kits & Online Lectures to Build Innovative Engineering Project! Innovative Methodology that ensures learning. Answer all viva questions and get good grades! Add team members and Build Best Final Year Projects at your own pace and time! Clear technical doubts and Innovate the project under our expert guidance! Make a presentation video of your project, showcase to world and get Certificate! 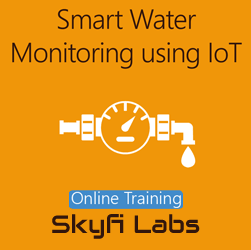 Skyfi Labs Project Based Courses also allow you to work in a team to build your final year engineering projects. This will help you improve your teamwork in addition to helping you split the cost of the project and make it more affordable. 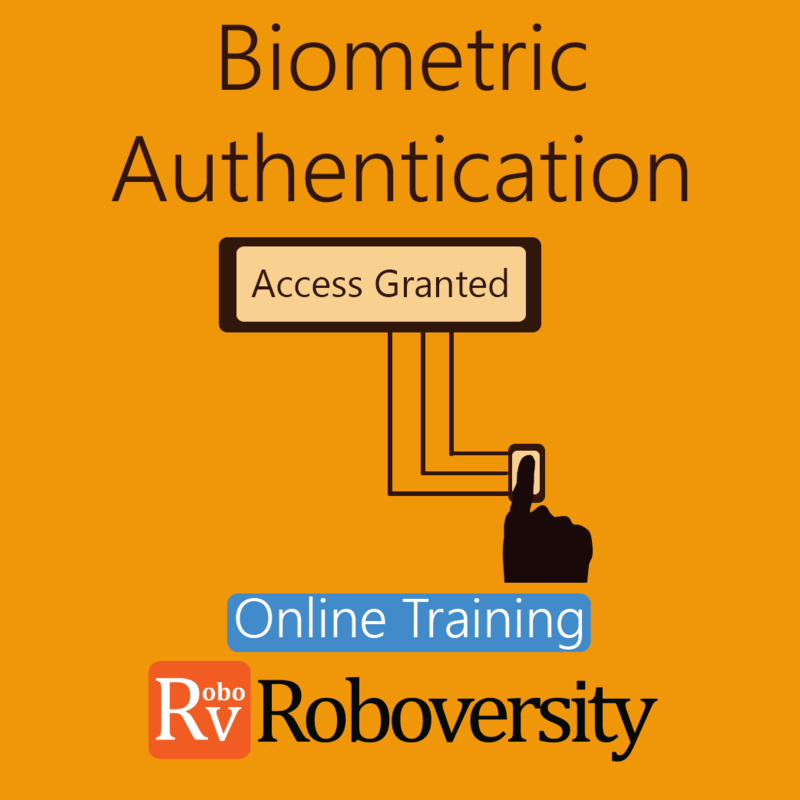 Just select the number of members in your team while signing up and all the team members will get access to the course and certificates with unique IDs upon completion. 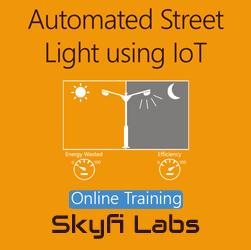 The project you build can facilitate the Switching ON/OFF of the street light based on intensity of sunlight. 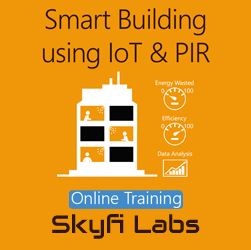 The project you build can facilitate the switching ON/ OFF of electrical appliances based on the number of occupants. 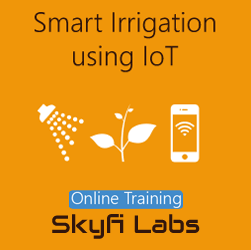 The project you build can detect the flow of water through the pipe and send the data to cloud for interpretation. The project you build can detect the temperature/ humidity change and send email notifications to a remote user via Internet. The project you build can switch on the water pump to facilitate irrigation whenever the moisture level drops below a threshold. The project you build can be worn & will display the heart rate of any individual on the display mounted on the glove. 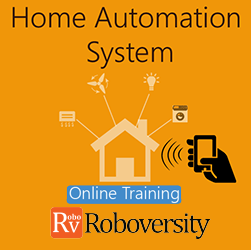 The project you build allows you to remotely control home appliances with your Bluetooth-enabled smartphone & Android application. 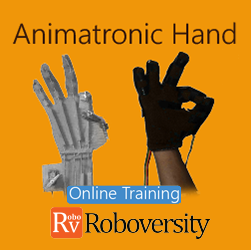 The project you build allows you to control an Animatronic hand- replicating a living being's action using embedded systems. 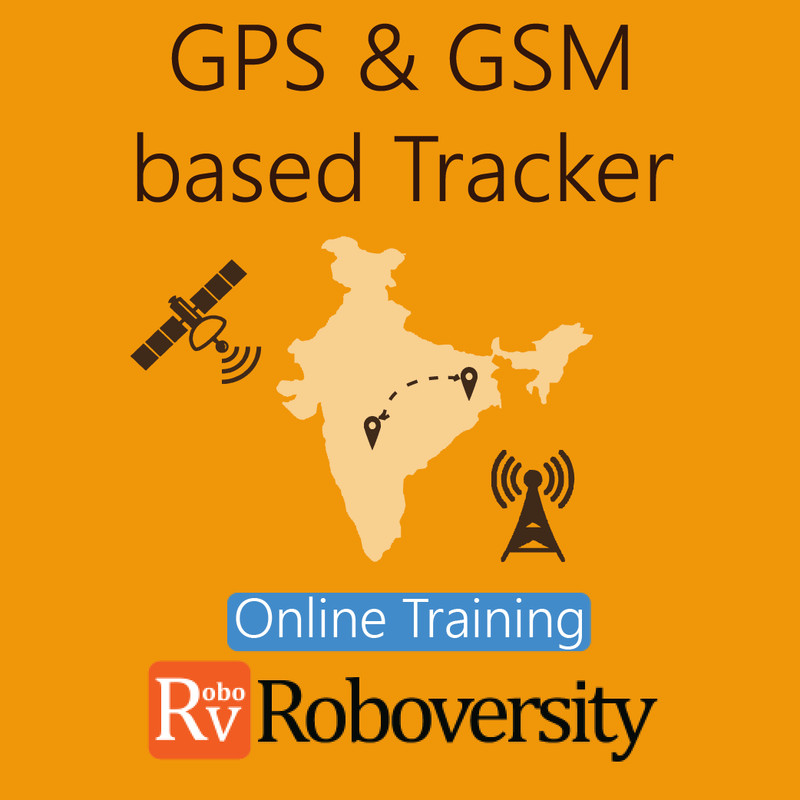 The project you build will be a GPS and GSM based Tracking system that provides exact location of any device they are attached to. 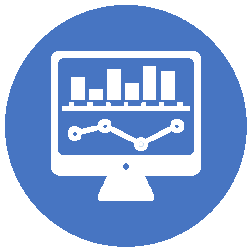 The project you build will automatically send an email notification when the temperature exceeds a certain limit. The project you build will exchange information wirelessly with the use of electromagnetic fields. 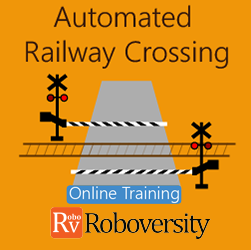 The project you build detects train arrival and departure and send appropriate signals to control the gates automatically. The project you build will have 3 degrees of freedom which can act as a Pick & Place Robot and is controlled with your hand gestures. The project you build will be a LED based POV display that magically shows letters which are pre-programmed in it. 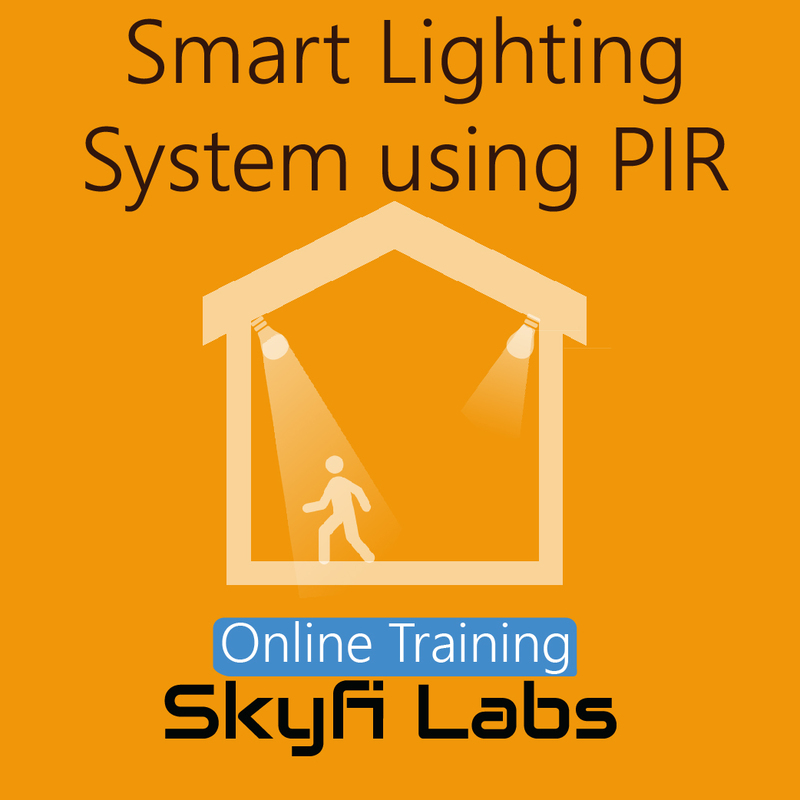 The project you build helps you to conserve energy by switching lights ON only when there is activity in the premises. 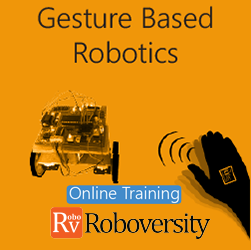 The project you build will be a robot which involve human-machine interaction and can be controlled through hand movements. The project you build will be a robot controlled by a cellphone that makes a call to a second phone connected. 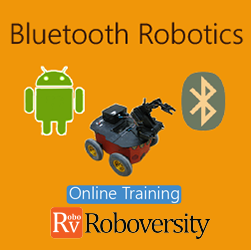 The project you build will be a robot that can be controlled by a Bluetooth application from your smartphone. 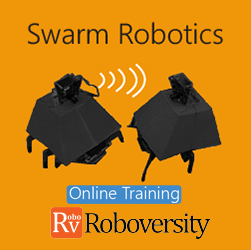 The project you build will be autonomous swarm robots that coordinates with master-slave communication . 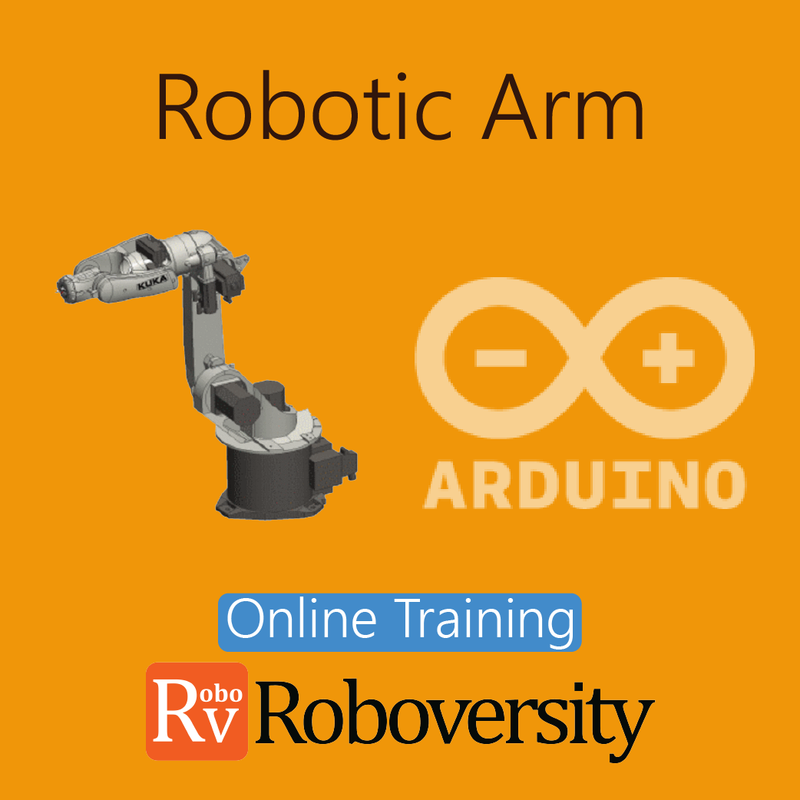 The project you build will be Line Follower/Obstacle Follower/Obstacle Avoider Robot by programming the microcontrollers. The project you build uses Speech Recognition, Bluetooth Communication and a self-made Android App to operate. 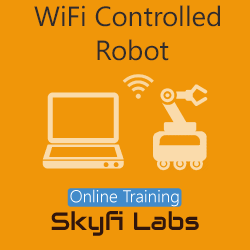 The project you build can be operated remotely via a computer/ website using Wi-Fi Technology. ECE is one of the most demanded branches in engineering as the students who join this branch would have many diverse opportunities in their career. Final year engineering projects help them to explore and strengthen the understanding of fundamentals through the practical application of theoretical concepts. It is a platform where engineers can showcase their talent by doing innovative projects that strengthen their profile and increases the chance of employability. ECE students can do final year projects in various categories such as Embedded Systems, Electrical, Robotics, Communication based, Microcontroller based, DTMF, GSM, IOT, Solar based, Sensor-based, power electronics, general electronics, RF based, RFID based projects, etc. 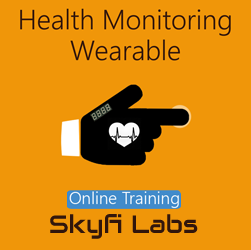 Keeping this in mind Skyfi Labs have launched Online project based courses which provide an excellent platform for the Electronics Engineering aspirants to build cool engineering projects as a team or as an individual at their own pace and time, which can be done as a final year main project-a part of their curriculum. 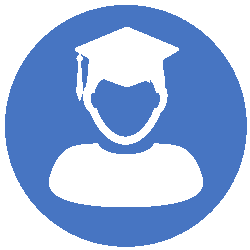 With our Subject Matter Expert Engineer assigned as an online tutor, it gives a unique opportunity for the engineers to innovate and redefine their final year project under the guidance of the expert. These engineering projects are researched and developed by our engineer team to help students to learn and build final year projects using latest technologies and to experience multidisciplinary projects.